Matteson Koche of El Bagel is putting a millennial spin on how we eat the centuries-old roll. 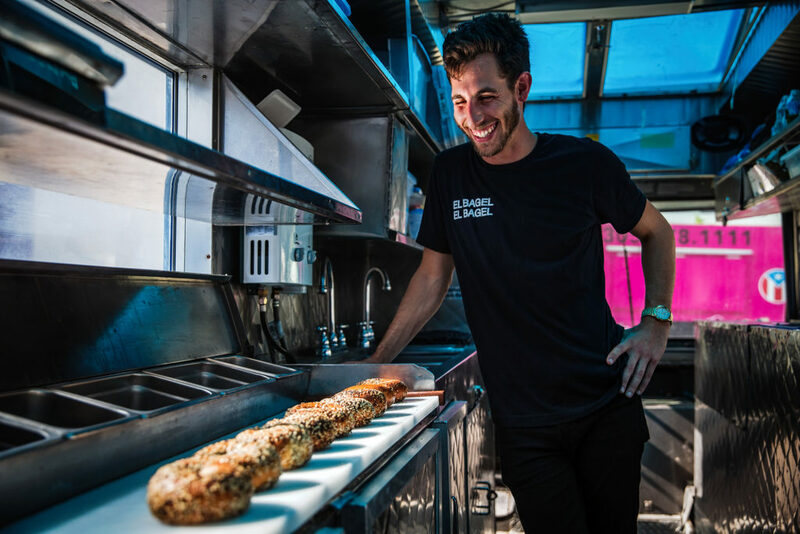 Matteson Koche’s popular El Bagel food truck in Wynwood typically sells out of bagels within two hours on Saturday mornings. In Japan, there’s a term used to describe certain creators: shokunin. Although it literally means “artisan,” the word’s deeper meaning, as explained by food critic Jonathan Gold in one of his final reviews, is “a Japanese craftsman whose bliss comes through the search for mastery.” This person normally does one thing for all of his or her life and strives to perfect it. 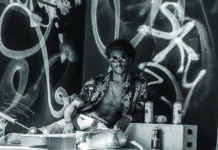 While he has a long journey ahead before he reaches mastery, 27-year-old Matteson Koche is a shokunin. His craft of choice? Bagels. At his Wynwood pop-up, El Bagel, he sells some of South Florida’s most in-demand bagels each Saturday for about two hours before he inevitably runs out. Koche grew up eating in Jewish delis in Broward County. But while he was in Los Angeles visiting his brother, something changed. Koche hand rolls each of his bagels, a technique he says renders the ultimate crunchy exterior and soft interior. Koche began to follow what he refers to as “the bagel revolution” happening in L.A. at places like Yeastie Boys Bagels and Belle’s Bagels, and he started to consider the possibility of rolling his own. 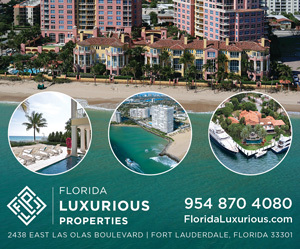 Unfulfilled with his job as an urban planner and the overall state of his life, though, he decamped to South America to surf, a hobby he had grown to love as a high school student in Fort Lauderdale. In Argentina, Koche arranged a meeting with an American expat named Jacob Eichenbaum-Pikser, who makes bagels in Buenos Aires under the name Sheikob. As the two stood eating bagels on the sidewalk, Sheikob provided instruction: Use a wild starter for the dough and eschew using anything but a hand in rolling. This differs from the norm, as many bagel shops opt for a rolling machine to save time and increase yields. 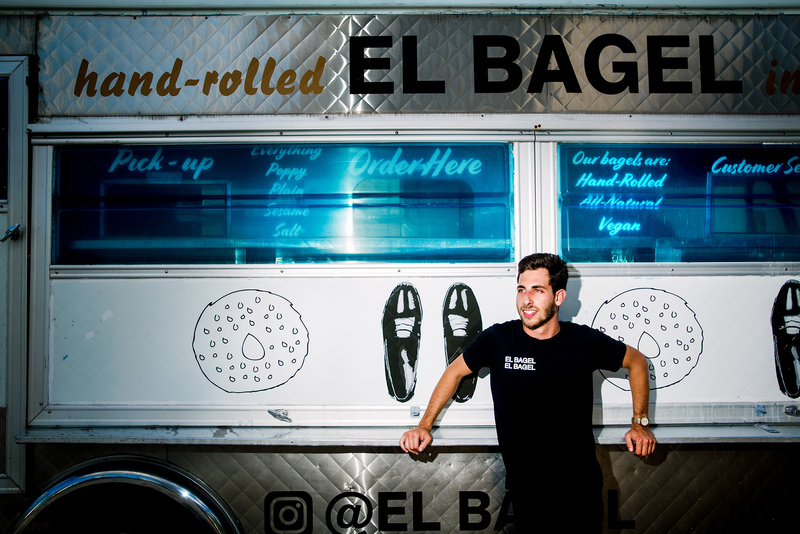 After returning home in December 2016, Koche started rolling bagels every day—four dozen to be exact—and El Bagel was born. The initial product was edible, to put it kindly, Koche says. The bagels improved with continued recipe tweaks and small adjustments for changing temperatures, and he began to sell them by posting a menu on Instagram. 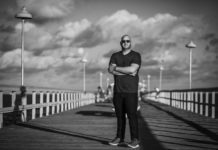 Although he first sold them out of his car, he set up behind Wynwood bar Boxelder beginning in June 2017. If that sounds like an easy and smooth road, it hasn’t been. The minitruck he first purchased eventually broke down, and the taco truck he currently uses caught fire due to a leaky transmission on the drive home immediately after he bought it. The variety of kitchens he’s had to use presented other issues. They’ve had different equipment and layouts, and some had lunch and dinner service occurring while his bagels proofed overnight in the refrigerators. Occasionally, the doors were left open and the bagels got overproofed. Despite these hiccups, he’s managed to keep a fairly consistent schedule and craft a delightfully idiosyncratic menu of bagel sandwiches. Want something traditional? Grab a bacon, egg and cheese or a classic lox. Feeling particularly Miami? Try the guayaba y yo, featuring Redland guava, plain cream cheese and potato sticks; or the El Bagel original, with Proper Sausages bacon, roasted jalapenos and scallion cream cheese. If you’re lucky, a one-off collaboration might be happening, like the time Steve Santana of Taquiza in Miami Beach stopped by to make frita bagels; the week Yoko Matcha provided matcha cream cheese to go with a salt bagel; or the Saturday starring the “que fancy,” a collaboration with Itamae from St. Roch Market that featured wasabi cream cheese, cubed cucumber, microgreens, shaved red onion, dill and ikura on an open-faced bagel. 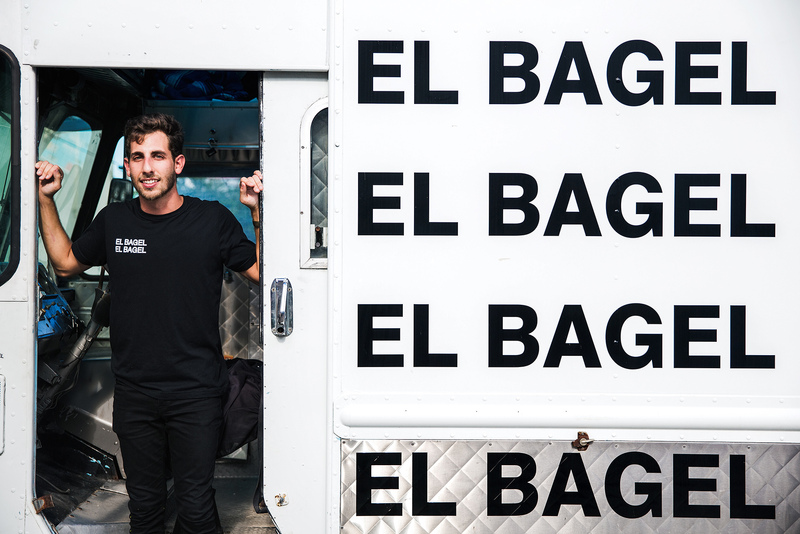 Eat at El Bagel often enough, though, and you’ll notice the true star is the bagel itself—the crunchy exterior and the chewy interior; the slight variances in texture caused by week-to-week temperature fluctuations; and the tiny variations in the hand roll. Koche’s bagels couldn’t come from anywhere else, even if he handed someone a detailed recipe. While there are only about 120 bagels available on Saturdays, Koche plans to ramp up production soon. He has hired two employees and has more than 3,000 Instagram followers. On Sundays, you can now find his truck parked at local coffee shops, and he is also scouting locations for a bakery to meet increased demand. For now, though, this shokunin is just enjoying his new line of work. 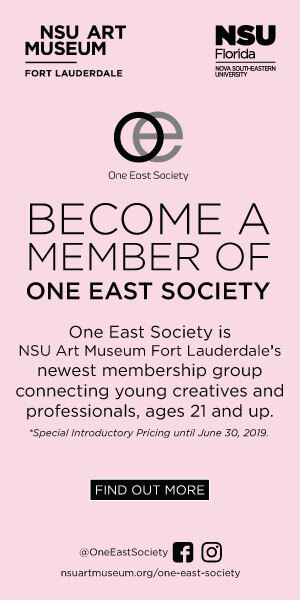 This article originally appeared in the Fall 2018 Issue.